Even if you think you don’t know what a gyropod is, you've probably already seen one sold under the brand name "Segway", for example. A young startup in the Yvelines called Gyrolift is now developing a mobility solution for all types of users, including the disabled, based on gyropod technology. 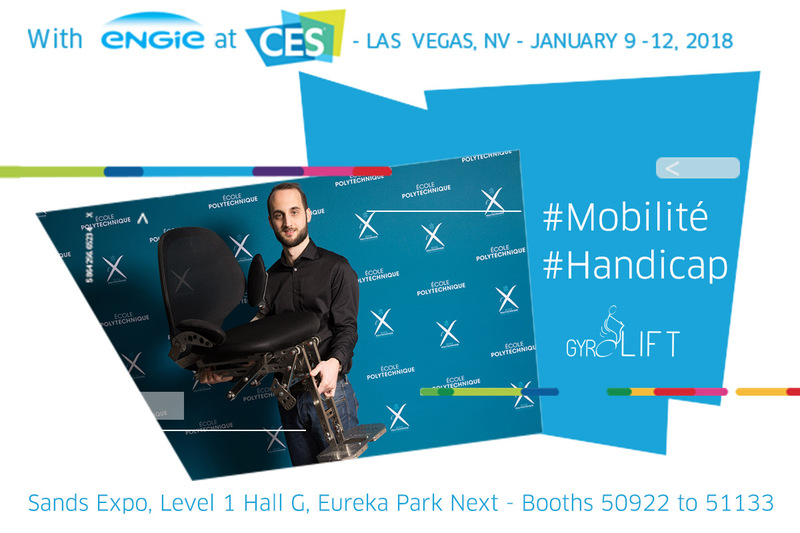 Gyrolift will attend the CES next January in Las Vegas with the Polytechnique X-UP incubator and ENGIE. Lambert Trenoras, one of the startup’s three co-founders, told us more. Hello Lambert. Gyrolift is both the name of the startup and your product, right? Yes, Gyrolift is developing mobility solutions that use gyropod technologies. Our first product, Gyrolift mobility, is a universal mobility solution for all types of users, including people with reduced mobility or disabilities. It’s a robotic module that can be installed on any existing gyropod which transforms it into a mobility solution that can go up and down vertically. This allows people with reduced mobility or disabilities to move around while either sitting or standing while enjoying the benefits of the gyropod itself: compactness, maneuverability and accessibility. What is your story? How did you come up with the idea to develop this product? Gyrolift grew out of meetings between my two partners: Luc Soubielle, the president of the association Handipode, which promotes mobility aids for people with disabilities and who is personally concerned with the issue, and Eric Monacelli, a professor at the University of Versailles and expert in mobility solutions for people with disabilities who is also president of CEREMH (the National Center of Expertise on Mobility Aids). Their starting point was this: we live in a world where innovative technology like gyropods and archaic technology like wheelchairs and electric elevators exist at the same time. The idea came to them to mix the two together. Luc and Eric sponsored a doctoral thesis on the subject that I was assigned to and during which I developed the Gyrolift. The Gyrolift will be marketed in the second half of 2018. We are currently finalizing a test version that will go through clinical evaluation. And we are simultaneously working to produce the final version on an industrial scale. Have you tested the Gyrolift both on people with disabilities and on people without them? No, for now we’ve only tested it on people without. To test with people with disabilities, we have to conduct a clinical evaluation, which is the next step. Actually, carrying out this kind of clinical trial requires the authorization of the Committee for the Protection of Persons, the National Association for Medicines, etc. We’ve set off a complex process. Now that we have all of the permissions, the testing phase will start very soon. We are in the process of recruiting the "testers". You’re coming to CES with ENGIE and Polytechnique’s incubator, which ENGIE partners with. Is this another story that begins with some fortuitous meetings? Yes quite. Last year I discovered through the press that Polytechnique’s incubator had launched a call for applications for its new crop of startups. I applied and did two rounds of acceleration at X-UP, their accelerator. I also won a contest launched by the ICC Versailles Yvelines that paid for my trip to and stay in Las Vegas. So I was looking for a way to show the Gyrolift at CES. 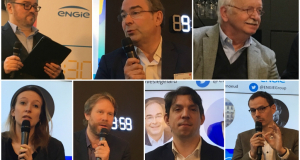 Polytechnique’s incubator, which ENGIE sponsors (and which will also be there with ENGIE & partners at CES) offered me a spot to showcase with them. And so you will be showing a gyrolift at CES? Yes, we will inaugurate the latest model, the pre-industrial version. ENGIE’s support will make the logistics surrounding that much easier. What do you expect to get from participating in the CES? I hope to make the most of the visibility to meet potential customers and partners, sign contracts and partnerships ... There’s a wide range of possibilities! 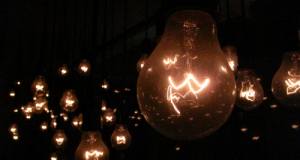 What is the most important innovation for you? Who helped change the world? If I really had to choose one, it would be data processing and computers. Over the last 70 years, the two have allowed us to make more progress than we have in all the previous centuries. We have achieved things that we wouldn’t have even considered before computers. Last, what question would you have liked me to ask you? I would have liked to talk about accessibility, inclusivity, the notion of a universal solution that everybody can use. So my question would be "is universal design a challenge for the years to come?" Universal design means developing solutions that meet everyone’s needs, without thinking of them as products specifically for the disabled, the blind or otherwise. It’s about developing a solution that can meet the same needs as a wheelchair, but which can also be used for people who are not disabled and which doesn’t have the visual connotation of "handicap". For me, this approach is crucial. It meets many different needs, whether industrially-speaking or in terms of cost or production volume, and ones on the user end for people who don’t want to be visually marked as “disabled”. Reconciling user demands and industrial interests opens up new markets that we wouldn’t be able to enter of without universal design.